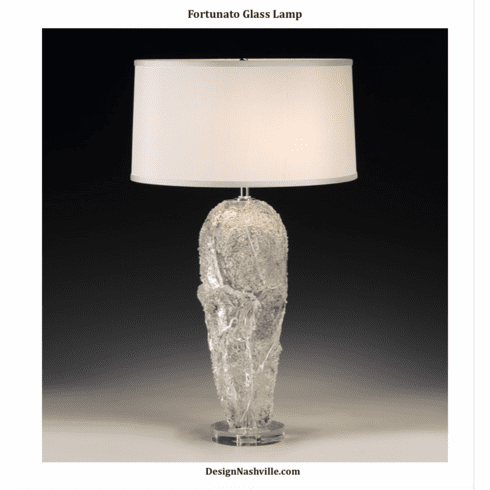 Artistic and sophisticated, the Fortunato Glass Lamp is beautiful in shape and materials. Hand-blown clear Venetian glass lamp with two lights and round hardback fabric shade; Max. 100 watts per bulb. UL approved. 16¾” x 28¾” h. Shade size: 16″ top, 16¾” bottom, 8¾” slant height. Handmade in Murano, Italy.